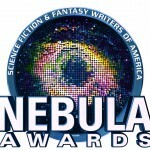 The 2015 Nebula Awards were announced over the weekend. You can see the winners here on the Science Fiction and Fantasy Writers of America web site, or here on Tor.com. The Hugos are up next in a few months time. But there is a new award which you may not know about is a new award, the BooktubeSFF Awards. The BooktubeSFF Awards are taking place for the first time in 2015. The goals of the award are 1) To provide another avenue for the BooktubeSFF community to share, read, and discuss our favorite literary works published in the previous calendar year. 2) To recognize works the BooktubeSFF community believes are exceptional. There are also five moderators who have put up announcements on YouTube giving more detail about the awards and what is happening in the lead up to announcing the winners. It looks like a bit of fun and I will be keeping an eye on it. Feel free to follow the links to join in too.